I can feel the cold grip of winter loosening its hold here in northeast Nebraska. We had an extremely nice winter, but I am still happy to see spring. Below are some sure signs that spring has arrived at the farm…. 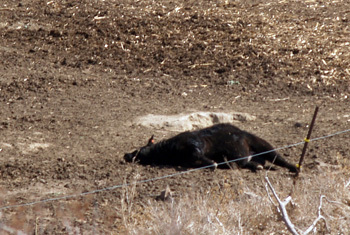 This calf is just soaking up some sun in the feedyard, but made me jump because it looks just like it is dead. 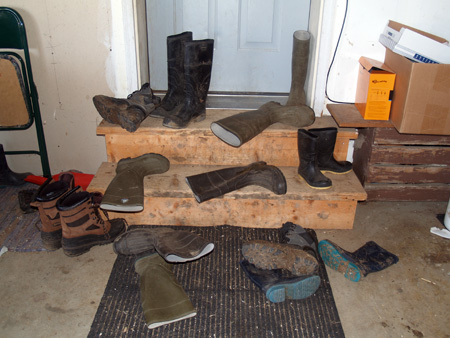 And the #1 sign that is it spring on the farm….muddy footprints on the rug, through the kitchen, down the hall, in the bathroom….